A lot has happened in the past eight weeks, far more than can be put in a “readable” length newsletter. Here are the highlights. 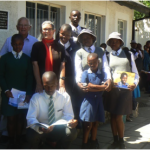 Founders, David and Liz, were at Transformation Resource Centre in Maseru for the book distribution ceremony, the 10th annual event. 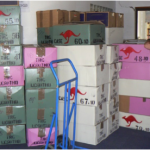 For many schools this marked the end of the five-year cycle for receiving books. You can see the long list of recipients here. We can all be proud of the effort the staff at TRC have put in to distribute 102,189 books and other items over the life of the project. There was extensive media coverage of the event especially by PublicEye (two long articles) and LesothoTV (a long segment on the event). 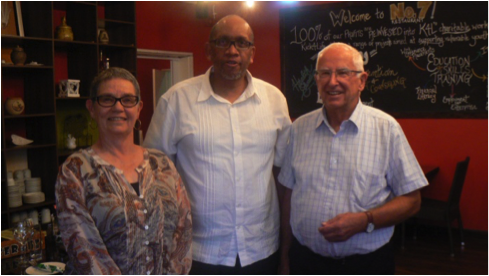 David and Liz had the pleasure of meeting Books for Lesotho’s Lesotho Patron, His Royal Highness, Prince Dr Seeiso Bereng Seeiso. Prince Seeiso is an outgoing person with a high profile in Lesotho. 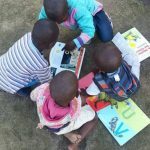 You can be assured that he is a strong supporter of raising standards of literacy in Lesotho and for the Lesotho people to take advantage of the opportunities projects such as Books for Lesotho provides. David and Liz visited several schools and organisations during their visit. 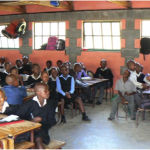 In the north it was two of the schools supported by Maliba Lodge through the Maliba Community Development Trust. 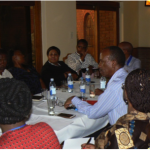 Discussions revealed the need for training for teachers on how to establish a school library and how to use the books to complement the official school syllabus, together with the provision of bookshelves to support the libraries. Both topics are the subject of discussions on what is needed and how to raise the necessary funds. In Maseru we visited Safate sa Bophelo English Medium School (you will find video images of Principal Manthatiso describing the value of the books to the students and teachers and see the books on shelves in the current library) and St Camillus Centre for orphans and vulnerable children near Mohales Hoek. There are examples of excellent use of the library books which we hope will encourage other schools to make use of the opportunity the books provide. 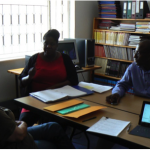 However, a training course for teachers remains a significant need. Discussions were held with TRC by way of review of 10 years of operations and “what of the future?” A meeting with the Rotary Club of Maloti explored the possibility of developing another distribution partnership. We will report the outcomes in due course. 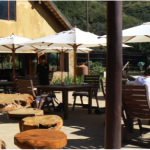 We are pleased to announce that we have a new home at The Barn, Pasadena High School. (Pasadena is an inner-southern suburb of Adelaide). 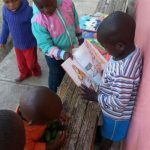 Here we receive books, sort and pack them into boxes, and then load them onto pallets ready for the long journey to Lesotho. The Barn is open to receive books every Wednesday from 9.30 am until noon. 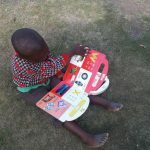 Please deliver your books here or visit to learn about the operation and the ways that you can help. Fund Raising for the 2017 Shipment which might develop into additional “Shipments”!! Your financial contribution is needed. We invite you to donate now. Donations of $2 or more may be claimed as a tax-deduction.